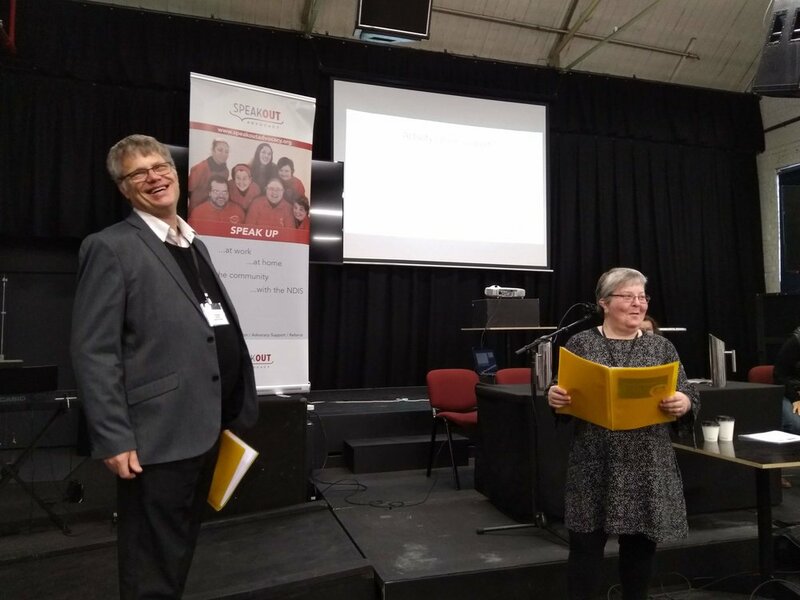 Recently members of our Empower Us Action Team have been working with Inclusion International members in different regions of the world on self-advocacy and inclusion. David from New Zealand, Luis Gabriel from Colombia and Mark from Malawi explain more below! I was invited by Speak Out Advocacy to attend their conference in on the 14th and 15th of September. Speak Out Advocacy is part of Inclusion Australia. Judy Huett and Heather Forsyth, who are part of the Empower Us Action Team and myself ran an Empower Us session on Good Support, which included role play activities. Around 50 self-advocates took part and came up with lots of ideas and suggestions after each role play, and shared their ideas on good support. I was a key note speaker at the conference and spoke about my life and my work with Inclusion International and IHC. I also talked on how important it is to support, encourage and mentor other people with intellectual disabilities and how, the younger generation are now speaking up for themselves and self advocacy coming more naturally to them. It seems there are fewer barriers in their lives, than in previous generations. I spoke about Inclusion International’s Calls to Action that were launched at the Global Self Advocacy Summit in Birmingham earlier this year. People are demanding that things need to happen, as they feel that they have been saying the same things for a long time, but no action has been taken. We watched a video of self-advocates from around the world sharing what was important to them. 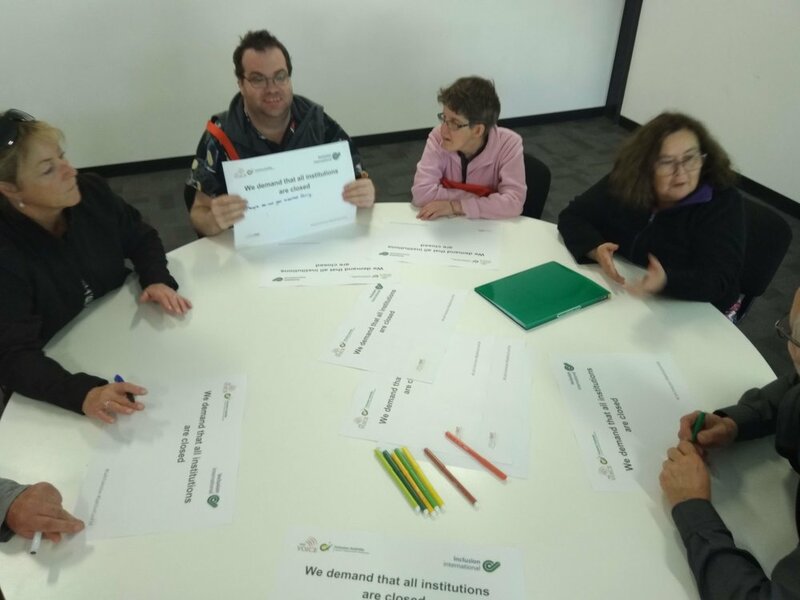 Self-advocates took part in an activity on the Calls to Action and shared their own demands on the big issues for them. I was impressed with sessions in the conference on Employment, Parenting and Australia’s National Disability Insurance scheme. It was great to see that the scheme has made a difference to people’s lives and to know that self-advocacy is also making a difference! Read David’s full report here. In August Luis Gabriel worked with Action Team member Jaime from Sociedad Peruana de Síndrome Down to lead an Empower Us webinar for a group of young people with an intellectual disability from Fundación Descúbreme, Chile. Luis Gabriel and Jaime spoke about Empower Us, self-advocacy and the importance of advocating for rights. Luis Gabriel has also recently been in contact with self-advocates from CONFE, Mexico and APAE de São Paulo, Brazil. Take a look at Luis Gabriel’s video for more information. 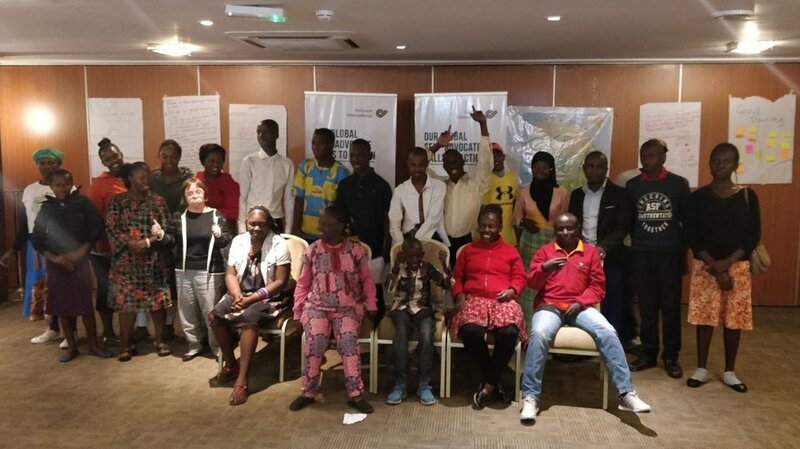 From the 9th - 13th October Action Team members, Mark from Malawi, Jayne from Kenya and Sara from the UK led Empower Us training for a group of self-advocates in Nairobi, Kenya. 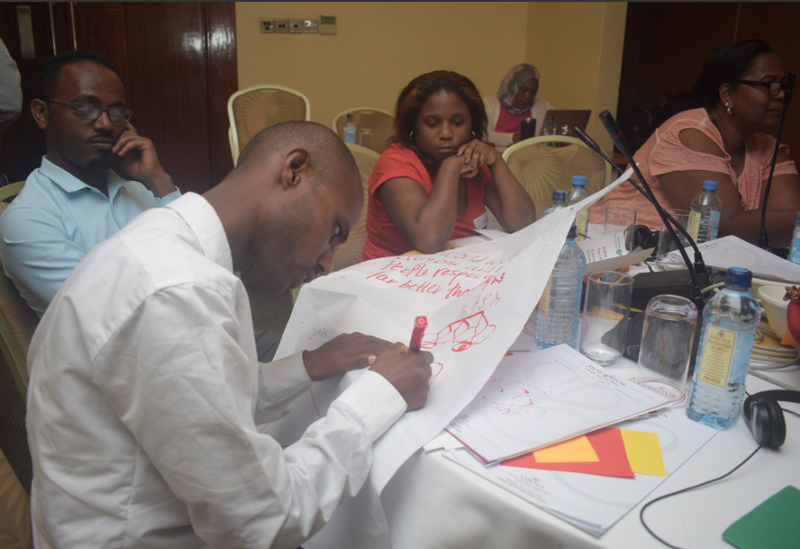 The self-advocates were from Inclusion Africa member organisations in Zambia, Ghana, Benin, Togo, Uganda, Ethiopia, Mauritius, Kenya, Zimbabwe and Zanzibar. 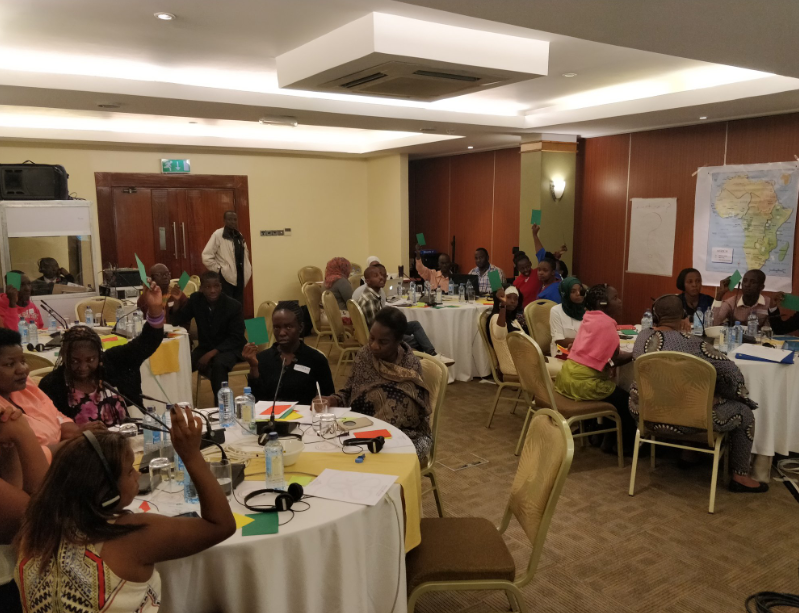 The training helped build leadership skills in the self-advocates and gave them the ability to lead self-advocacy training for people with an intellectual disability in their own communities. Mark says “We achieved what we wanted to achieve, the self-advocates and the support persons developed their skills. The self-advocates were there to learn and were active and participating fully.